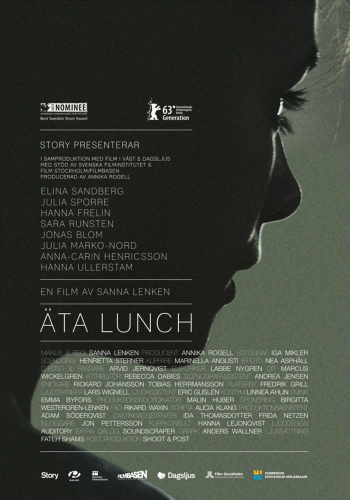 EATING LUNCH (Äta Lunch) is about the fifteen-year old Klara, who is about to eat lunch with four other youngsters at the Eating Disorder Clinic under supervision of nurses. They have 30 minutes to eat up. The film is directed by Sanna Lenken and has its Swedish premiere at Gothenburg International Film Festival (Jan 25 – Feb 4), where it is nominated for a Best Swedish Short Award.